A well designed playground decreases bullying. Ever wonder why some schools report few incidents of bullying and kids report that they feel safe at school while other students report just the opposite? The design of the playground makes a big difference in both physical and emotional feelings of safety. The following suggestions will help you in considering some re-design questions. 1. 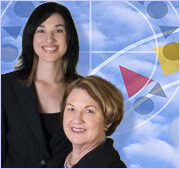 Can a supervisor see all children at all times on the playground? Unsupervised children can result in bullying opportunities. Solution: Close off areas or redistribute personnel for better supervision. 2. Are there enough activity choices for children to stay active or do you see long lines of students waiting to play? Solution: Paint more games and markings to eliminate lines and frustrated students. 3. Are students allowed to walk directly to class from recess, leaving them unsupervised on the walk back to class? 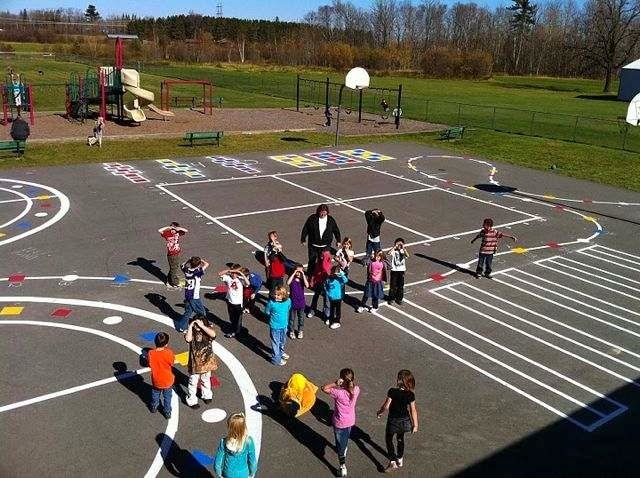 Solution: Place markings on playground representing class line-up areas. Have teachers meet students on playground and walk them back to class in a orderly and supervised manner. 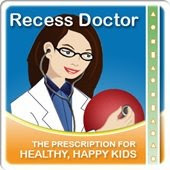 For additional tips on reducing bullying check out Peaceful Playgrounds Recess Program.